Thanks again to the Richmond Veloteers who helped us submit our written response to LDF Consultation before the deadline on 10th February [click here to read it] as well as the two background reports, written in 2009 and 2012, we sent in to inform the content of the “detailed Traffic Scheme” the Action Plan refers to. If you live, work or spend time in Twickenham, including cycling to or through it, you’ll be interested in the public consultation on the Twickenham Area Action Plan that began on 16th December and runs to Friday 10th February. We’ve talked about this in June during the 1st public consultation. Saturday 28 January,10am to 2pm in the same place. Click here to have a look at the 99 page Action Plan, in particular Section 4 Transportation, pages 19 to 25, and Section 7 Area Specific Proposals, pages 38 to 67. In preparing to respond to the consultation some RCC members spent time in Twickenham and have written about it. Click here to read it and please e-mail your comments, suggestions etc etc, to campaign@richmondlcc.co.uk as soon as you can so we can use all our knowledge and experience to fill out the Action Plan Consultation Response Form and submit it before 10th February. 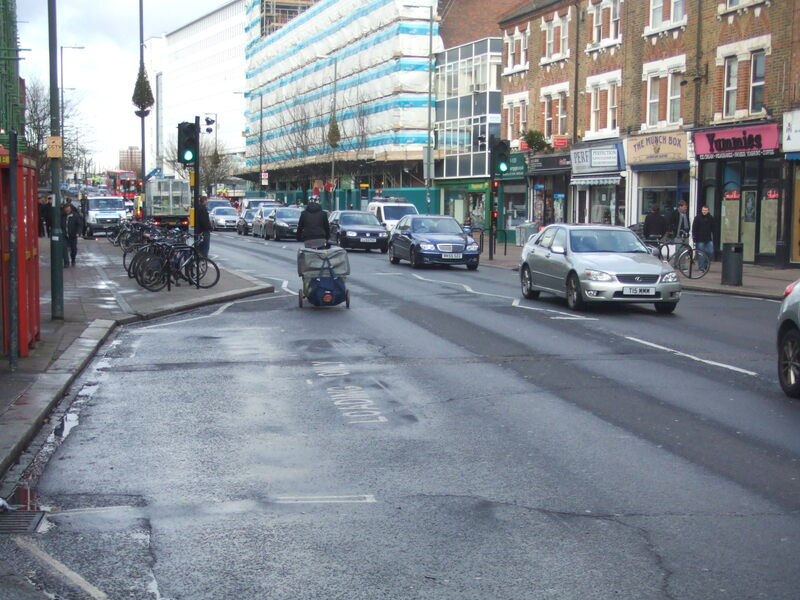 While this consultation gives us an opportunity to describe the challenges of cycling in Twickenham there are similar challenges in Richmond and Teddington town centres we would like to tell the Council about. So if you cycle to, or through, Richmond and Teddington e-mail campaign@richmondlcc.co.uk to help describe what it’s like for you. This entry was posted in All Posts, Campaign, Consultation and tagged railway stations, Twickenham, Veloteer by nick. Bookmark the permalink.